I have a confession. I had no idea what cranberry relish was when my best friend’s mother-in-law asked me to make it for Thanksgiving. Cranberry sauce, sure. But cranberry relish? Nuh-uh. After doing some thorough research on my trusty Google, I’ve come to the conclusion that it’s just a fancy way of saying there’s more than just cranberry goodness in there. 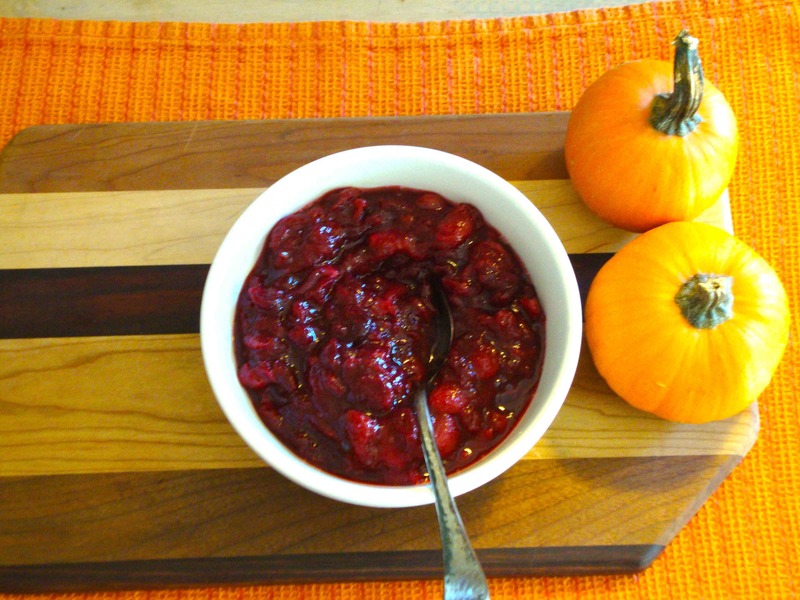 I found this recipe from Martha Stewart, and it’s the best cranberry sauce/relish I’ve ever had. Forget that canned stuff I grew up with. Yick. This is awesome and tart and has a kick from red wine vinegar. My friends who don’t like cranberry sauce loved this. So there. Heap this stuff on your Thanksgiving plate and you’ll be a happy camper. I like a little bit of everything in each bite: turkey, stuffing, mashed potatoes and cranberry. Yum. I might need to make a second Thanksgiving feast to get my fix again. I couldn’t find fresh pearl onions so I bought frozen, which ended up being wayyyy easier. Just thaw 21 of them (random number — try 22 to be really rebellious) and slice them and throw in the pot. Bam. I recommend serving at room temp or warm. Bring a pot of water to a boil. Cook onions 2 minutes, then transfer to a bowl of ice water. Drain. Peel onions, and cut in half. Combine all ingredients in a saucepan. Cover, and cook over medium-low heat until cranberries burst and onions are tender, about 40 minutes. Relish can be refrigerated 2 days. Serve warm, cold or at room temperature. 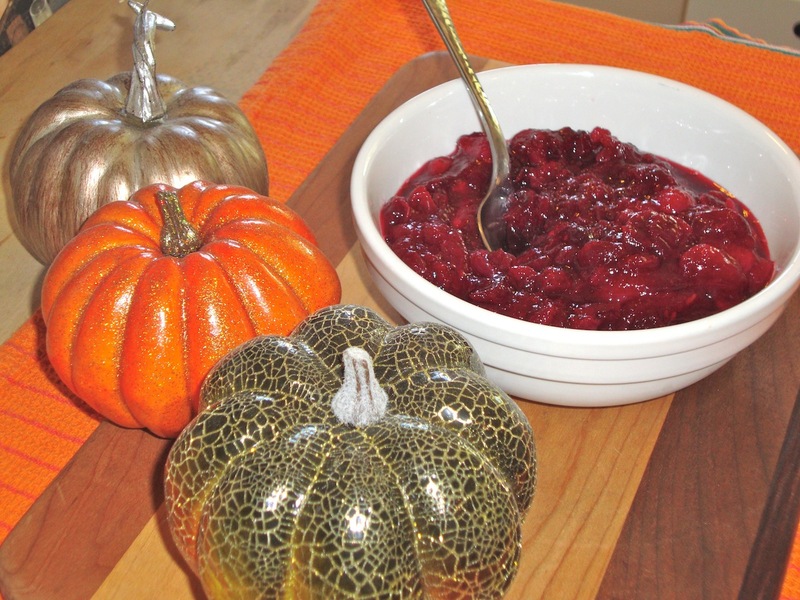 This entry was posted in Recipes and tagged cranberry, cranberry relish, onion, Thanksgiving by Tricia. Bookmark the permalink.